The Most Incredible Masters Ever? Franky looked unflappable, until he flapped at 12 and 15. Patrick Cantlay came from nowhere, shot 8 under on Saturday, then got to 6 under for Sunday with an eagle on 15 - which Supersport missed for an ad break! - and once he had possession of the lead, well then he let the situation get the better of him, and he crashed and burnt. I think that when he got to 14 under for the weekend after #15, he must have been heading for some kind of record comeback. Major Brooks tried hard all weekend to lose the tournament, but hung in there right until the end, and if we played the "if" game properly, then he shoulda been walking into the sunset with an emerald coat. DJ also popped up late with chances; his best weekend in Major golf since winning his National Open in 2016 at Oakmont. XS, that's Xander Schauffele, also did his rising star no damage with his performance thru'out, and he'll continue to be a force to be reckoned with going forward, as will Tony Finau and Jon Rahm, who both were in there at one time or another. And SA's Justin Harding hung in admirably for an Augusta rookie and World Top 50 newcomer, including a 25 footer for birdie on the ultimate green, which got him to tie 12th, the magical number needed to get an automatic return invite for 2020. But I've totally digressed of the main subject, and that’s about Tiger! Here I must first make an admission: I've been a Jack man all along; I was brought up on his book Golf My Way since first I could swing a club – said book which Jack himself autographed for me at Houghton in August 2011 – and I never thought I’d again see anyone dominate the game the way he did. And when Tiger came along, I found lots of reasons, or excuses I should say, why he’d never be as good as Jack. He had to get to 19 Majors! He was cold and calculating! He had the issues of the scandal! He swing the club too hard! He could no longer make the makeable putts! Seek, and thou shalt find! But when he came back this time, he slowly but surely started to change all of the above, in my mind. On the technical side, his swing has been much smoother; still fast and powerful, but with a much smoother transition than we’ve ever seen from him. He’s chipped and pitched and sanded with surety and finesse! And his putting has been more than good enough! 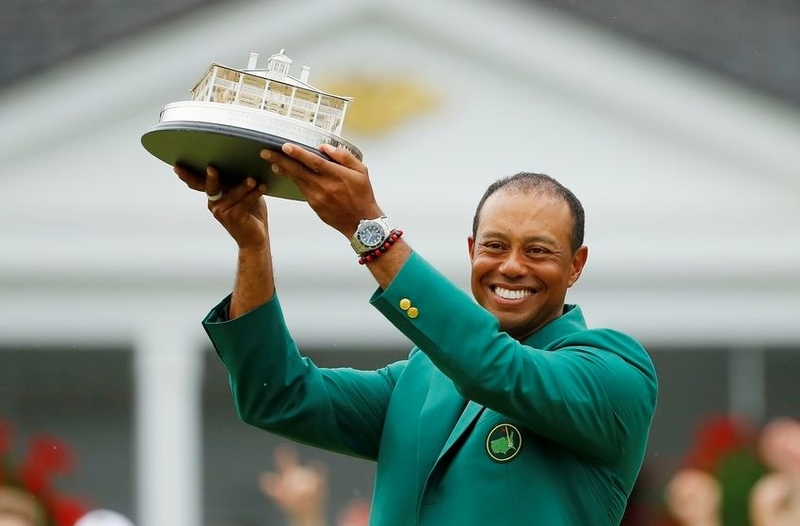 But it’s been off the course where Tiger has started winning me over. The 2nd part of his career has been softer and warmer, much more open and inviting, and, I suppose, we shouldn’t be surprised by this, because of everything that he’s had to deal with in the middle part of his career. He’s definitely become more humble, something I’m sure that adversity teaches you in huge dollops. The emotional roller-coaster that he’s been on, from the highs of 14 Majors and invincibility, to the magnified lows of hydrantgate and the scandal and the ensuing public divorce, the pain of multiple back surgeries and rehab, the drugged and/or drunken DUI incident – notwithstanding the ease and transparency of modern social media and the court of public opinion - to where he got to yesterday around the 18th green at the Augusta National, well I think that deserves more than a little credit as it would likely have broken you and me once and for all. For me, even though he still trails Jack 15 to 18, he’s now at least tied Jack as the GOAT. 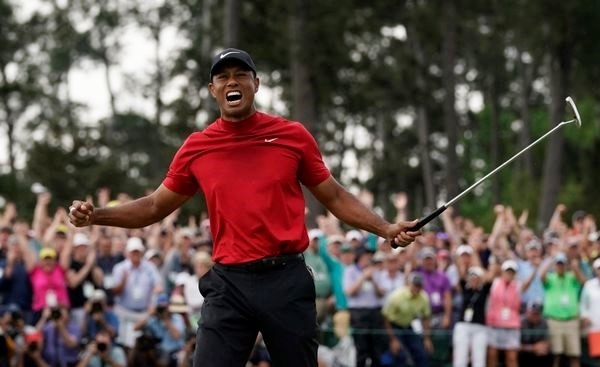 The final scenes were just incredible, rendering even the TV commentators silent so that we could at least listen in, and I think it will be a long time until we get another closing round at The Masters, or any other Major for that matter, so full of everything great that this wonderful game has to offer. This is a short week, so I’d like to wish everyone celebrating Pesach and Easter a lekker long weekend, travel safely if you’re going away, and enjoy your golf if you’ll be hanging around. Armed with your wedge chart and your favorite distance with your favorite wedge, you’ll know where to lay-up if you can’t get to the green with your approach. That’s better game management. Every golfer, whatever their handicap, should have a wedge chart. 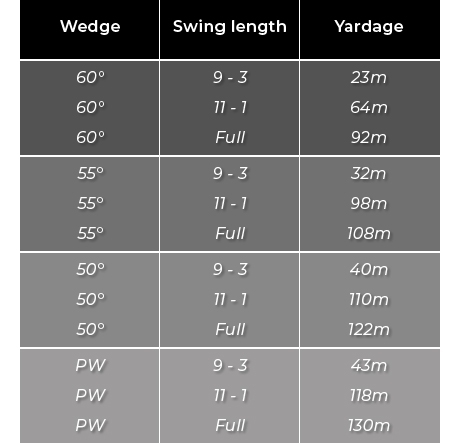 To gauge a distance for each of your swings for each wedge can be difficult without assistance. So why not book a session with us. Let’s complete your wedge chart and at the same time, we can look over your three swings. Maybe there are other improvements. Struggling? Is it the release? Last week we told you that one of the primary reasons that some golfers make poor contact is their weight movement on the downswing. 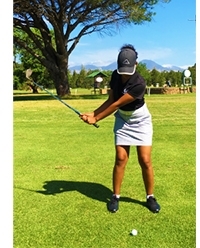 Instead of the weight moving from the back foot to front foot through the downswing, some golfers attempt to lift the ball at contact by making an ascending blow on the ball. 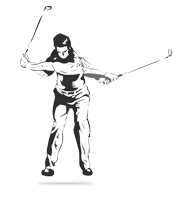 This almost always involves the weight traveling the wrong direction – front foot to back foot - in the downswing. The other cause of inconsistent and poor ball striking we see is the early release of the club; sometimes known as "casting". 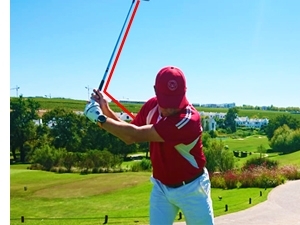 In this image, the clubhead is being released very early, and the angle between the lead arm and the shaft has been lost too soon in the swing. 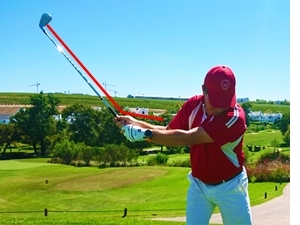 Clubhead speed will be lost at impact, and so will ball striking consistency. 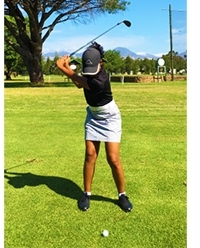 Good ball striking requires that the clubhead is released to the ball later rather than earlier in the downswing. Look how the angle between lead arm and shaft has been retained. even after they’ve given it everything. If you’re a mid to lower handicap, you need accuracy, and that’s as much about distance. So think about taking one club more than you need and shortening the backswing and follow-through slightly. What would improve your ball striking? 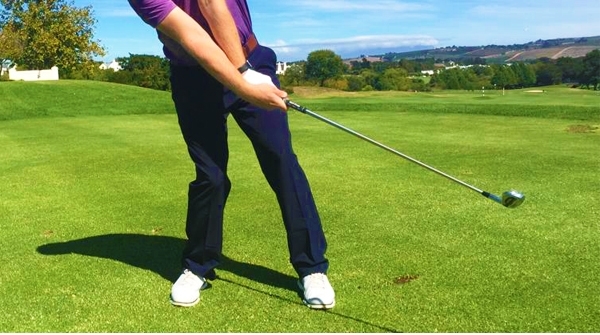 Is there a single fault that is impacting on the consistency and quality of your ball striking? How easily can it be fixed? It’s worth finding out because solid, consistent contact with your irons is one of the best feelings in golf. It’s time for better.